Japan Airlines (JAL) has introduced a new service which offers Nintendo DS Lite and compatible games free for in-flight play. The limited camapign ends on August 31st 2006. The applicable routes are flights from Tokyo to LA, NY, Chicago, San Francisco, London, Bejing and Guanghzou. 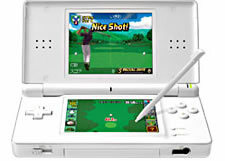 For now only four game titles are available including Mario Kart and DS Golf. The DS Lites on JAL flights are specially manufactured without wireless capabilities as use of wireless devices on airplanes is prohibited, so you can forget about multiplayer fun. Here are some bad news you will be eligible for this service if you are flying Executive or First Class only.